The Mizizi Project is a program designed by e² education & environment to take science education and cross-cultural learning into the 21st century by uniting students and educators on opposite sides of the globe within a single collaborative virtual learning experience. By delivering a shared science curriculum through real-time video conferencing, Mizizi creates a “global classroom” enhanced by the diversity of geography, culture and perspective it encompasses. Through Mizizi, a rural Kenyan primary school partners with an urban public school in Brooklyn, New York, to participate in lessons broadcast live and in real time by the New York Hall of Science. For the first time, middle school students in both countries take science classes “virtually” side by side via video conferencing, allowing them unique opportunities to engage not only with teachers from other countries, but also with classmates a cultural world away. The result is a more complex and diverse learning experience for students and educators than would be possible within either country alone. In addition to providing an academically rich course of study to both student bodies, the program brings a dynamic array of educational possibilities into the classrooms and communities of both countries. 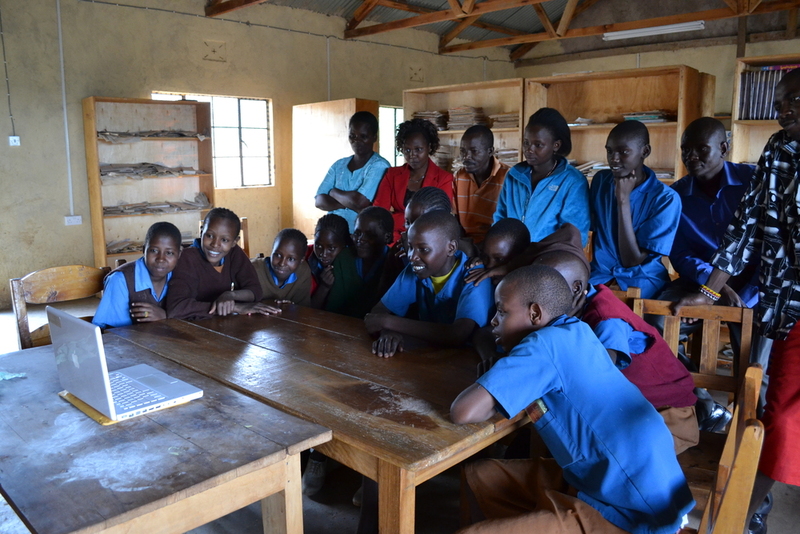 Children from the Laikipia region of Kenya and from Brooklyn, New York receive training that is increasingly necessary to participate in and benefit from the digital information age, and are challenged with unique opportunities to think and interact in a genuinely global environment. Teachers from both cultures develop a breadth of critical skills as they work collaboratively to conceive and implement the new curriculum. The long-term benefits of the program are numerous and far-reaching. Executed successfully, The Mizizi Project offers a vivid demonstration of the transformative, unifying power of technology within and between classrooms. It also establishes a pioneering and replicable model for global studies and science education. View the Mizizi Project video here.